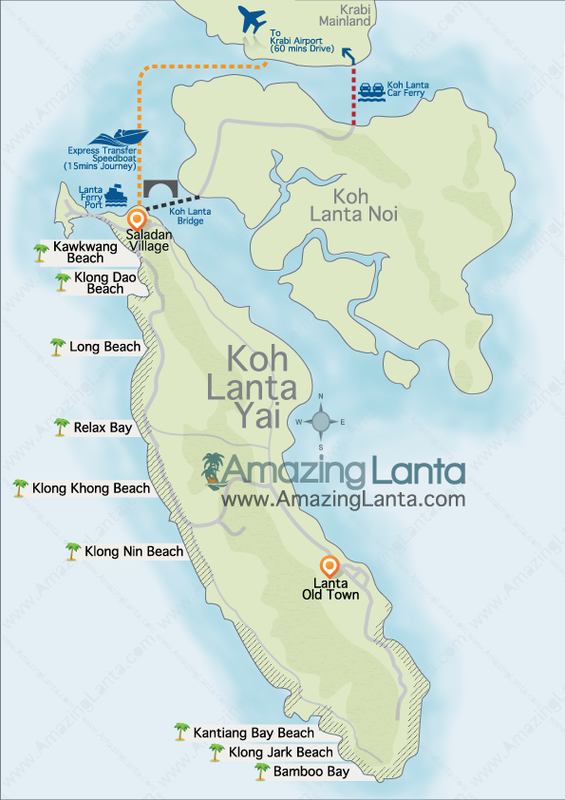 See the location of each beach on Koh Lanta and the distance from Krabi Airport on the Koh Lanta map below. 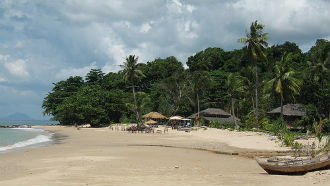 A tiny beach in Lanta's far south with a handful of resorts. The atmospheric wooden buildings of Lanta Old Town makes for a memorable visit. 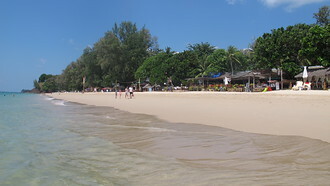 A quiet beach centrally located that has some great choices both for accommodation and eating. 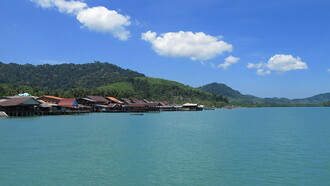 Several villas for hire are located in Klong Khong too. 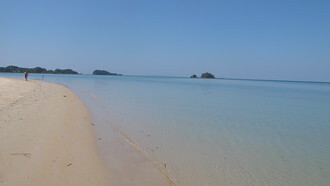 A tiny beach with just one resort, Relax Bay is great if you're looking for peace and quiet. You'll need to travel if you want other dining options. Over 3 km of beautiful sand means that while Long Beach is quite developed, it never feels crowded, and there's a huge choice of beach bars, places to eat and accommodation. 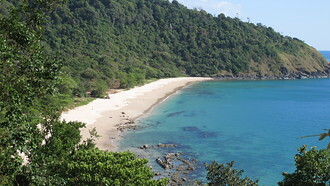 Koh Lanta's most developed beach as it's near to Saladan, Klong Dao still has its own great atmosphere and some excellent dining and accommodation choices. This is the second car ferry crossing for a taxi transfer between Krabi Airport and Koh Lanta. 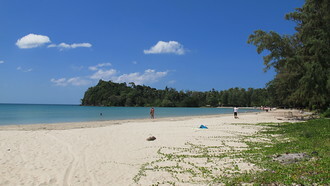 Total journey time is 2.5 to 3.5 hours between Krabi airport and your Koh Lanta hotel, depending on how long you have to wait for the car ferry. 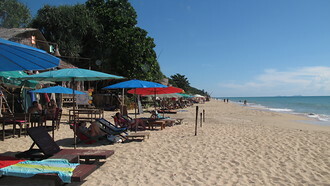 Koh Lanta's main shopping area, Saladan is the port where you'll arrive and leave the island. It's got some useful accommodation options and great places to eat built over the water. 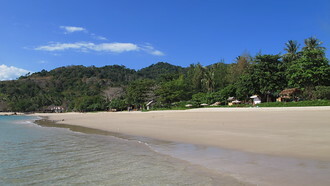 The fastest way to Koh Lanta, the Express Transfer is a minivan from Krabi Airport to the speedboat pier, a 15 minute speedboat ride to Saladan on Koh Lanta, and then a transfer from Saladan to your Koh Lanta hotel. This is the first car ferry crossing for a taxi transfer between Krabi Airport and Koh Lanta. 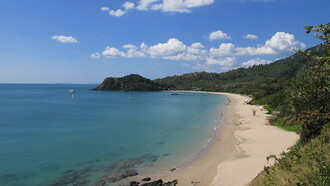 Total journey time is 2.5 to 3.5 hours from Krabi airport to your Koh Lanta hotel, depending on how long you have to wait for the car ferry. 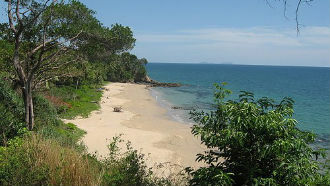 See our comprehensive guide on getting to and from Krabi Airport to Koh Lanta, and flights to and from Krabi Airport.